Contributor/Bio: “Anxiety and Klonopin Dependence” was written by Highland Ridge clinical team member Erica Smith, M.A., NCC. Erica has several years of experience working in the treatment field as a clinical therapist and has her Master’s degree in Clinical Counseling Psychology from the American School of Professional Psychology. Located in Midvale, Utah, Highland Ridge Hospital (http://www.highlandridgehospital.com/) is an addiction and behavioral healthcare treatment center that is renowned for its unparalleled quality of support, compassion, and care. We are dedicated to providing superior services to adolescents, adults, and senior adults who are struggling with behavioral health issues and chemical dependency concerns. Our experienced team of highly trained and qualified professionals make it their sole goal to treat our patients as the unique individuals that they are, focusing on treating the whole person and not just his or her symptoms. Using evidence-based treatment interventions, we are proud to be one of the most distinguished and respected treatment centers in the state of Utah. Benzodiazepines also work by enhancing the effect of the brain chemical, gamma-aminobutyric acid, which produces a naturally calming effect. 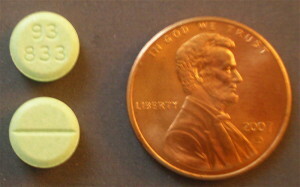 In addition to easing symptoms of panic and anxiety, Klonopin is also used to help treat seizures. When prescribed by a doctor or psychiatrist, and then taken specifically as directed by the pharmacy, the effects of Klonopin will provide the results needed to alleviate the negative symptoms that a person is experiencing. But while the relief that is provided by the use of this substance is extremely beneficial for those who genuinely need it, it is also a highly addictive substance that can become instantly habit-forming. The purpose of Klonopin is to elicit feelings of relaxation and does so by reducing the presence of agitation and anxiety. This prolonged feeling of relaxation, however, can provide individuals with such pleasurable sensations that they begin to use the drug on a regular basis in an attempt to consistently reproduce that gratifying state of relaxation. One of the biggest reasons why people begin to use Klonopin is due to the fact that its effects are fast-acting and occur almost immediately. However, the onset of addiction can occur rapidly as a person begins to develop a psychological and physical dependence on the drug. This form of chemical dependency essentially means that the person who is using Klonopin feels incapable of getting through their day without using the substance. While not everyone who uses Klonopin will experience these side effects, it is important to take note of their potential to develop. In addition to the aforementioned, there are more serious effects that can result from the misuse of Klonopin, including drastic changes in one’s mental health. Individuals who are using Klonopin as a recreational drug rather than for clinical purposes are at an even higher risk for experiencing a decline in their mental health. Things such as the sudden onset of severe depression, intense irritability, and extreme restlessness can overpower a person shortly after ingesting the medication. Most frighteningly, an increased risk of suicidal ideation has been identified as a possible effect of using Klonopin when not done so under medical supervision. Fortunately, there are many treatment options available that can help individuals who are struggling with an addiction at any level. Inpatient treatment, intensive outpatient treatment, group therapy, support groups, and traditional outpatient therapy are just a few examples of interventions that can be beneficial in helping an individual overcome his or her addiction to Klonopin.